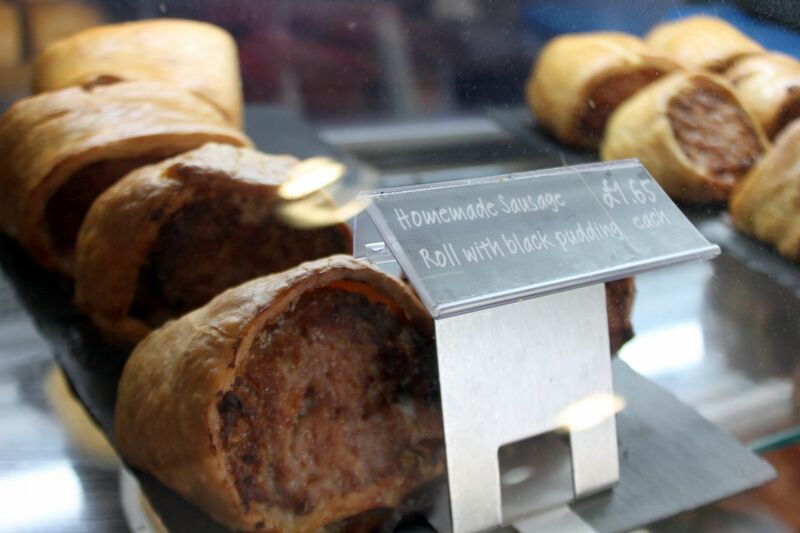 Have you heard about our Thomas of Helmsley Deli Sausage Rolls? If not, where have you been?! We originally only sold these in our deli and butchers in Helmsley, Thomas of Helmsley, but they’ve been almost literally flying off the shops. In fact, they’ve proved so popular that we’ve decided to “roll” them out to a limited range of our stores so that even if you’re not in Helmsley, you’ll get the chance to try them. If you’re not sure where these are located or which would be the nearest to you, head over to our store locator to find out more. Let us try to tempt you a little more by telling you all about these Deli Sausage Rolls you’ve probably heard so much about. Wrapped in crispy puff pastry, the Deli Sausage Rolls are stuffed full with our most popular selling blend of Helmsley thick pork sausage meat. This mixture is minced and blended fresh every day by our Master Butchers in Helmsley, ready to be hand filled and sculpted into shape by our skilled bakers. If you pop in to Thomas of Helmsley, you’ll be likely to pick up on the mouth-watering scent of them being baked freshly in store every day. The meat itself has been carefully selected by our top tasters; it’s locally reared nearby and blended with a (secret!) mix of herbs and spice. You might recall that our sausages already have a bit of a claim to fame, with the recipe designed in house by celebrity chef, Stephanie Moon, and recently featured by Minster FM. These delicious slices of yummy goodness are huge: you’ll need a big appetite to be able to demolish one by yourself! They make the perfect picnic treat, a quick on-the-go snack when you’re out and about, or a full meal when dished up with a side salad. Even better, they’re only £1.85 each! Throughout the coming week, there will be sampling available in the stores mentioned above so that you can try before you buy. And believe us, after tasting them, you won’t be able to say no to doing so! Make sure to head over next week to be one of the first to get your hands on the Deli Sausage Rolls.